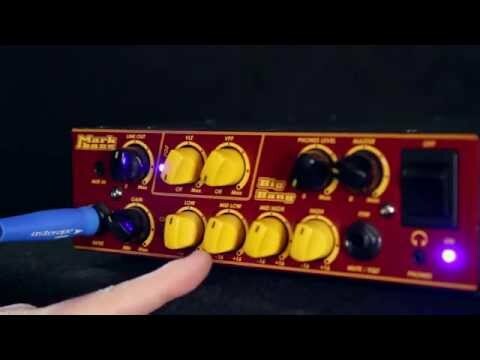 Just over a decade ago, Marco De Virgiliis started pioneering small, lightweight amps; the Markbass Little Mark heads started a new era in bass amplification, inspiring many other companies to follow their lead. You'll be amazed that such a warm, rich and “explosive” sound comes from an amp smaller than our groundbreaking Little Mark heads! And—despite its small size—the Big Bang is packed with extra features that customers have been asking for: aux in, headphone output with level control, plus mute and VLE and VPF filters with footswitch control. Other features, already appreciated by Little Mark users, include a simple and effective 4-band EQ, effects loop, and level control and pre/post EQ switch for the XLR DI output. Rack ears and footswitch do not come included with this head. Markbass in Japan... Big Bang LE colors heads! June 16, 2017, 10:35 a.m.
Our Japanese distributor Pearl Instruments presented the Big Bang Limited Edition heads in very cool colors, like the "BIG BANG Azzurri Blue Limited Edition" inspired to the Italian National Football Team! Finland's Riffi magazine has reviewed the Markbass Big Bang head, saying it is "one of the finest in its class"
"Great to see a company listening to their users and taking some ideas onboard." Premier Guitar magazine has reviewed the Big Bang in its December 2012 issue. "This amp has an analog quality that coats the highs and attack—almost as if there’s a post-EQ “warmth” circuit that processes the tone." Bass Player magazine has reviewed the Big Bang in its October 2012 issue. "With its headroom, tone controls, and extra features, the Big Bang is sure to make a lot of noise when it hits." The new Big Bang head and MB Mini Series pedals were chosen for "Best of NAMM 2012" awards from Gear Guruz.